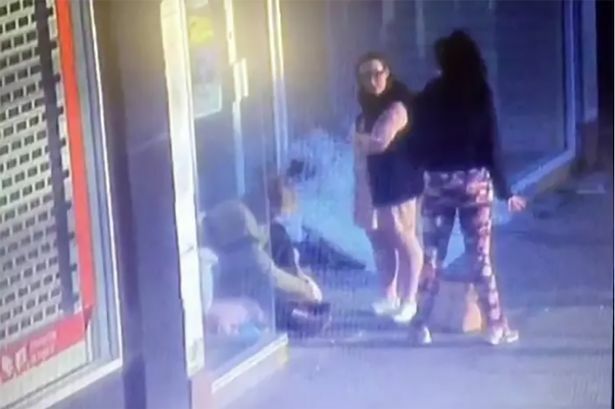 A 'cruel' arsonist has been jailed after urinating on a homeless man's possessions before she and a friend set them alight. 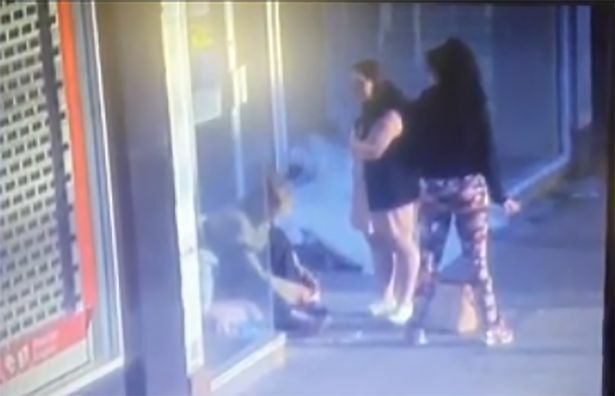 Shocking CCTV footage shows Nicola King and her pal Jerely Evans talking to Roy Ransom - who had been sleeping rough outside shops on a busy city centre high street - before King urinates on his bedding. After the sick act 23-year-old King gave a lighter to Evans, who set fire to Mr Ransom's belongings, destroying 'literally everything he owns'. 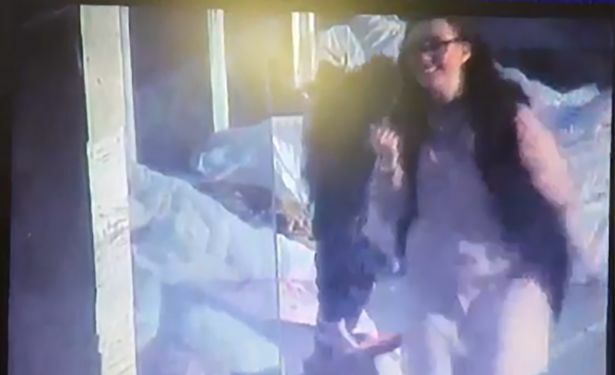 The sick pair can then be seen on the footage walking away laughing as smoke started to billow from the bedding. Jailing King for four months, district judge Anthony Calloway branded her 'cruel' for her part in the arson . Portsmouth Magistrates' Court, Hants, heard the pair had initially been 'nice' to Mr Ransom and gave him £5 for a drink, however they soon became rude and he walked away from them. 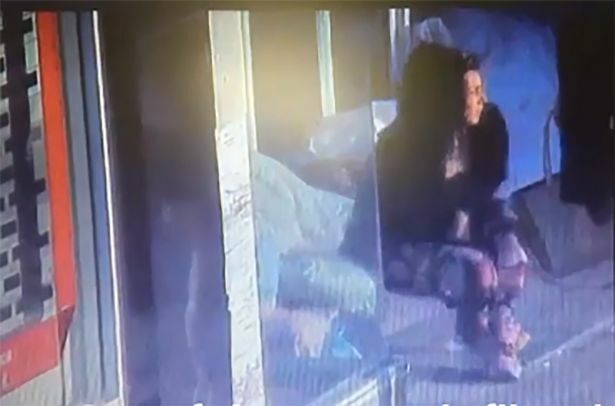 CCTV played in court showed Evans, 25, trying for several minutes to set light to the bedding using a lighter on April 9 this year, while King watched on and held her bag. 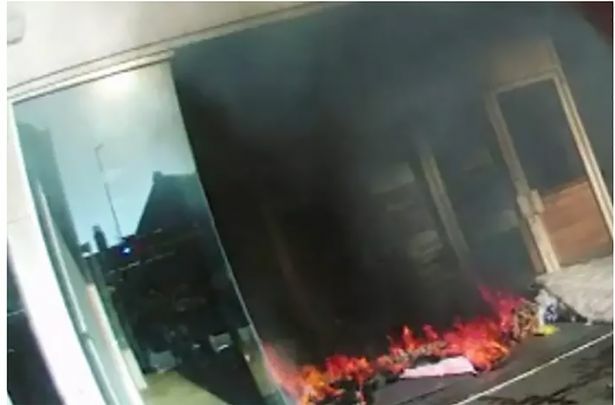 After successfully setting fire to the possessions, the women are then seen walking away laughing together. The court heard King also urinated on Mr Ransom's bedding during the incident in Portsmouth. Evans and King, both from the area, admitted arson. Evans was also jailed for four months at an earlier hearing. 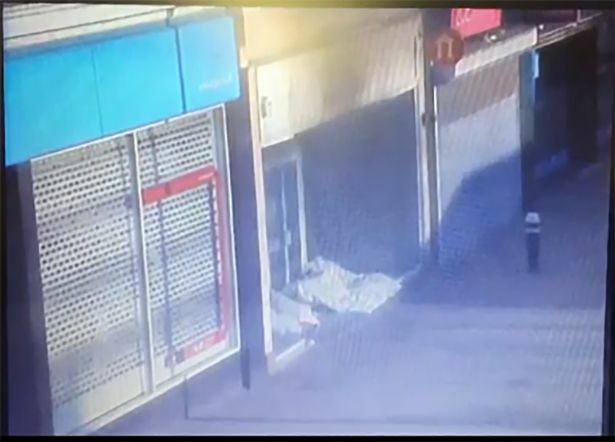 In a statement read to the court, Mr Ransom said: "I'm homeless , everything I own was in the doorway and now most of it is gone. "I can't stress how how gutted and sad I am for this loss. "I have literally lost everything I own, I have no bedding, blankets, all of it has been destroyed." 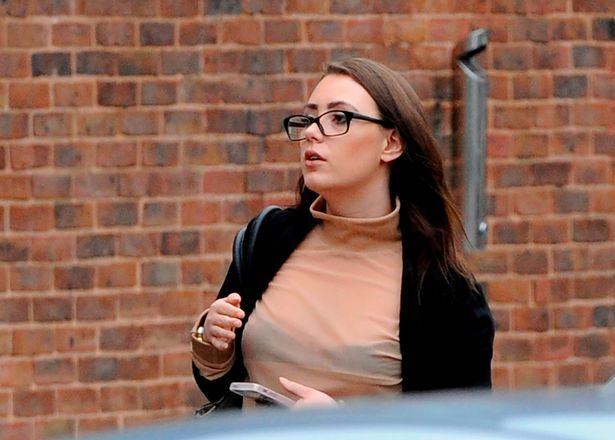 The court heard King has a low IQ of 55, falling close to the level where she would not be fit to plead and Lian Webster-Martin, defending, said her client was isolated and vulnerable herself. Addressing King, who wept in the dock, judge Mr Callaway said: "You and the co-defendant both approached Mr Ransom. "It was you who abused him, it was you who urinated on his property, it was you who put items of his in a bin, on not one but two occasions. "As far as the arson is concerned it's perfectly obvious to me that both of you, both of you, have perpetrated that cruel act on a vulnerable, isolated gentleman."